“ I have seen your web-site for more than a few years, and debated as to whether the micro fence was all that it was cracked up to be. After seeing a demonstration at the Baltimore wood show I decided to give it a try. Wish I could find the words to say THANK YOU! It is everything and more than what you described in your seminar. 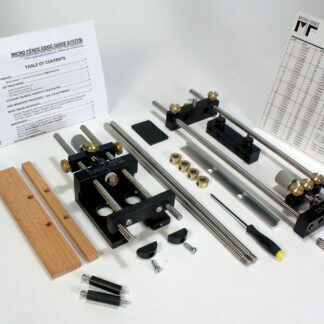 It is truly easy to use, and even I, a fairly new hobby woodworker, am able to get great results. 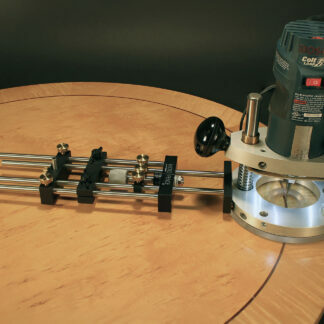 Within 10-15 minutes of using it, I was able to UNDERSTAND how to do router inlays which I have now done a few in the last 2 weeks. Your products, their ease of use, and especially your after market customer support have been more than I ever expected. Since receiving and using the edge guide, I tried doing some pattern inlays and realize the other products I have been using fall short of giving precision depth guide precision when making inlay cuts. I will soon be ordering your plunge base to take care of this. 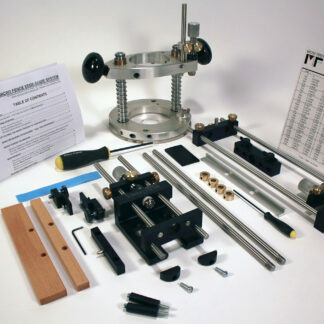 This package includes both our Micro Fence Edge Guide and Circle Jig Attachment (for circles from 6″ to 48″), a set of our Stop Collars, and a Stabilizer Bar. 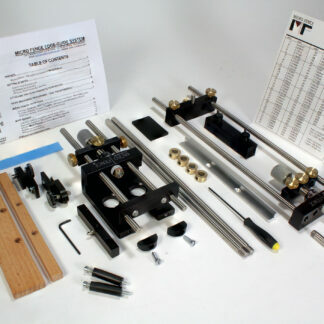 This is a great introductory package to bring Micro Fence’s accuracy, efficiency, and versatility into your workshop. 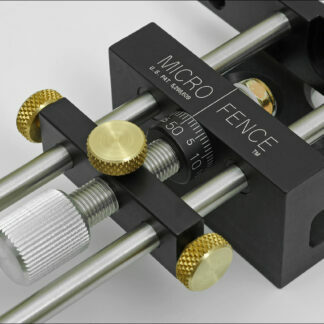 Note: If you are ordering the Micro Fence for use with a laminate trimmer, you will also need the appropriate Sub-Base Assembly, which is indicated by an asterisk (*) in the drop down box below. 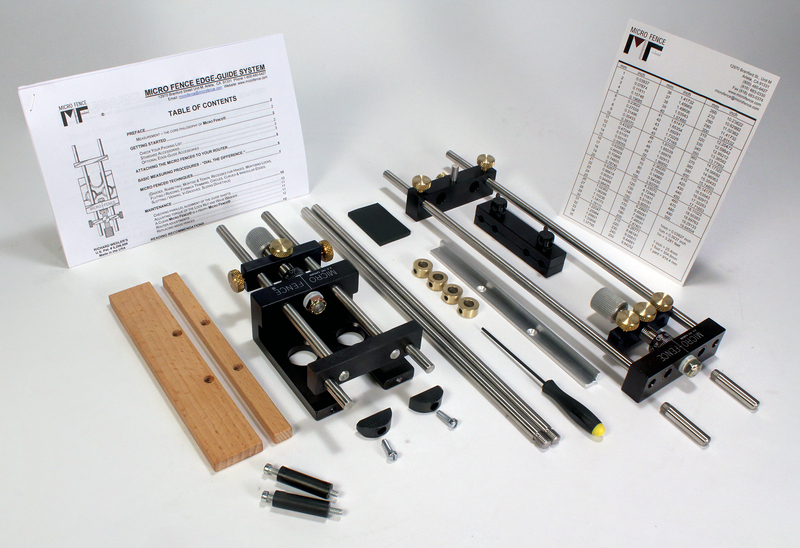 If your router of choice has an asterisk after it, you’ll need to add one of these packages to mount your Edge Guide on it.